This node generates a texture color based on projecting X, Y, and Z textures onto the current point. This node lets you quickly assign colors and texture maps without the need to define point or vertex UVs in geometry attributes. You can control how the textures are blended together, the alignment of each texture, as well as the scale and rotation. The node generates the color of each axis one at a time, with each axis composited over the previous axes. The order is fixed: Z axis first (at the bottom of the compositing stack), followed by X, then Y. If you need more custom compositing of the layers, you can project the textures using the lower-level UV Planar Project VOP and blend them yourself. Shifts the UVs generated by this VOP on a per axis basis. This can be useful to hide obvious tiling patterns when the same texture map is used on each axis. Higher values give sharper transitions between the blended textures. Lower values give softer transitions. Gives you separate controls over the texture projected onto the opposite side along this axis. Path to the texture file to project. Tints the color values from the texture file using the Color parameter below. Multiplies the current texture map color by this color, when Tint with Color is on. Rotates the projected texture. This can be useful for aligning textures to those projected from other axis. Scales the projected texture. Higher values give more tiling. When Separate Axis Controls is on, you can set different values for the texture projected in the opposite side along this axis, including projecting a different image. 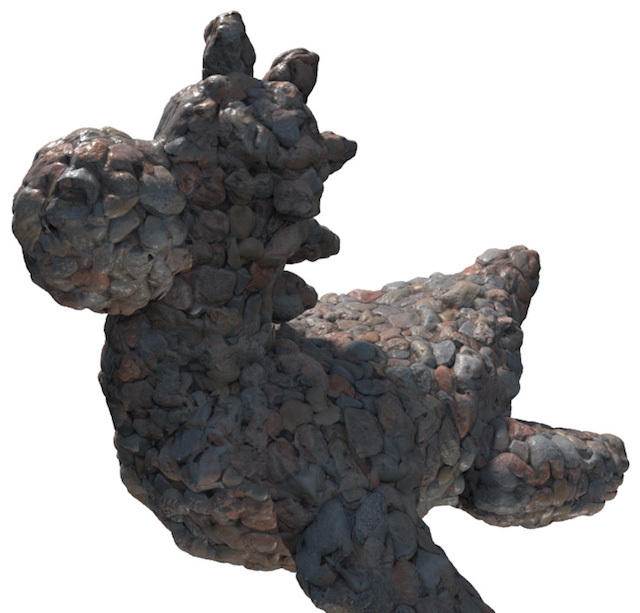 The texture color for the current point, computed by compositing the textures projected along X, Y, and Z.